Today we made an amazing custom mantle for our Waxaw customer that is to die for. 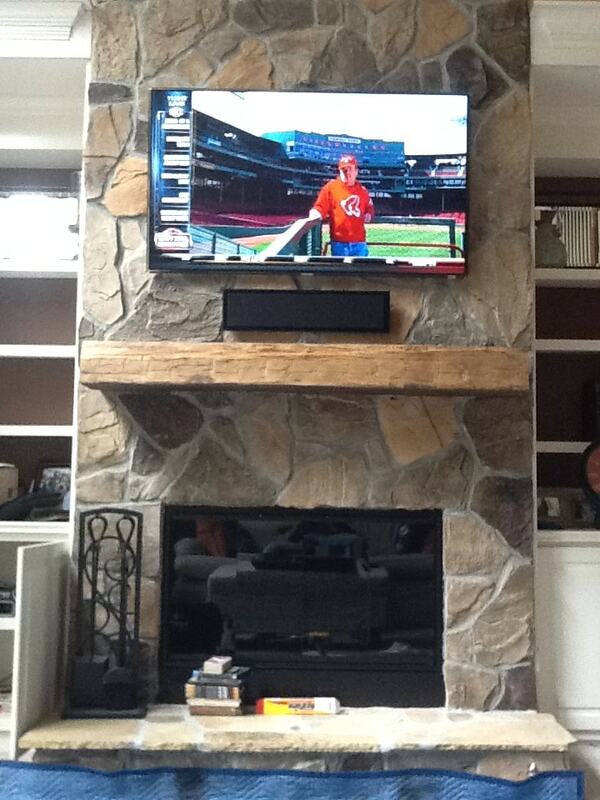 They had a dated brick fireplace and wanted to hang their TV from it. 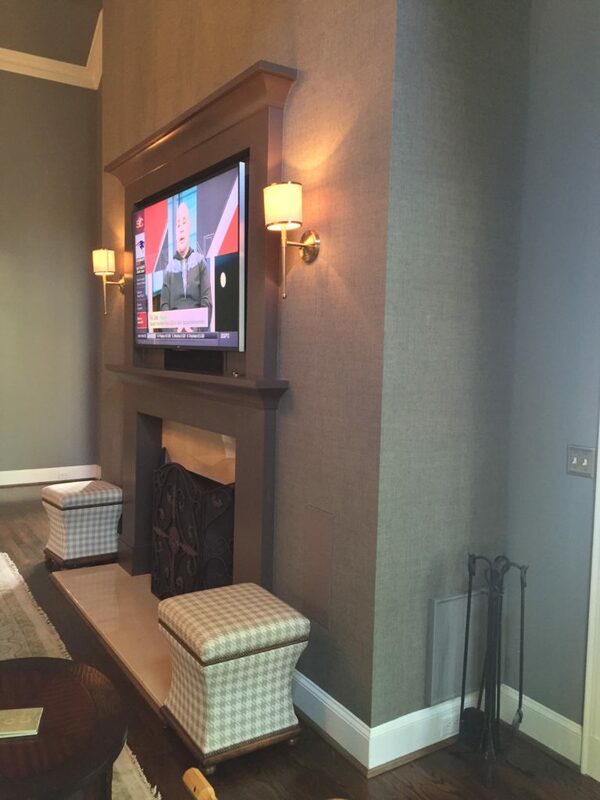 No problem we said… but we could actually improve the look of your fireplace by building a mantle at the base of the TV to hide the wiring and speakers. We also painted the fireplace surround. The customer loved this idea…. and it looks awesome. He said great minds think alike… and I have to agree. This Home Theater installation sounds and looks amazing! We recessed Episode in-ceiling speakers. The Dennon Home Theater receiver has all the right inputs for what we are using today and a few extra for future technologies. We chose a 60″ Samsung LED TV because the Anti-glare screen mutes the glare from the windows in the room. Also, the TV is proportional to the fireplace opening. We used the existing Android phones and iPad to control the system easily.